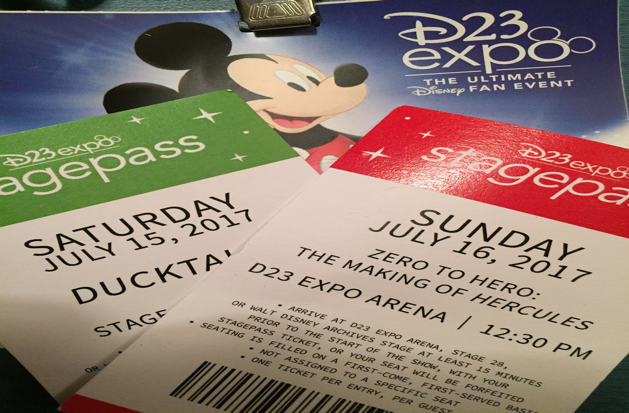 I did not attend the 2009 D23 Expo, so I can’t speak to the successes or shortcomings of the inaugural event, but when I first showed up to the 2011 event, I had a fantastic time. I walked right into the Disney Store and got the special pin set and doll my wife wanted, had no trouble getting into the Disney Legends Ceremony where I heard the Princesses sing their signature songs and Kermit the Frog perform his. At the film presentation (live action and animation were together in those early-Marvel, pre-Star Wars, simpler times), John Lasseter gave me a cupcake — things were good! However, things began to turn in 2013 and got much, much worse in 2015. Crowds clearly increased significantly and the event planners couldn’t really seem to handle it. 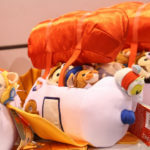 It became harder to get into the big presentations, event workers frequently seemed overwhelmed and misinformed, and the stores — especially The Disney Store — became infamous for their absurd wait times (all with no guarantee that the coveted items you waited for would be there when you got in). The D23 folks, to their credit, instituted some really positive changes. They added StagePass and StorePass to help people better plan their day and distribute crowds more evenly, opened up Hall E for safe, climate-controlled overnight waiting, and provided a larger venue for key presentations. All of this should have improved the overall experience, but 2015 did not seem to go very well. On Saturday, the only sold-out day, it was the worst. Those who showed up too late to wait inside complained of it taking forever to get in. StorePass and StagePass had inadequate queuing areas, and at one point, no one I spoke to could even find the end of the StagePass line because it had twisted and wound itself through several main arteries of the show floor. 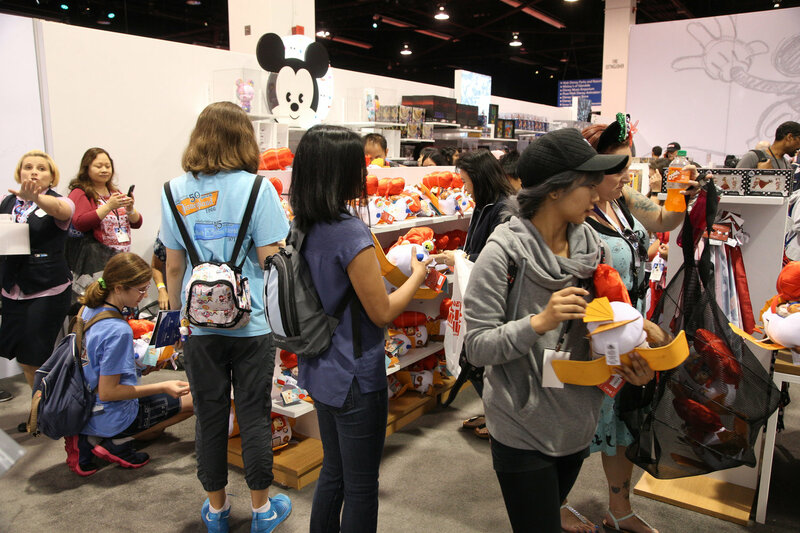 It was almost impossible to move through the show floor because aisles were too small and crowded. 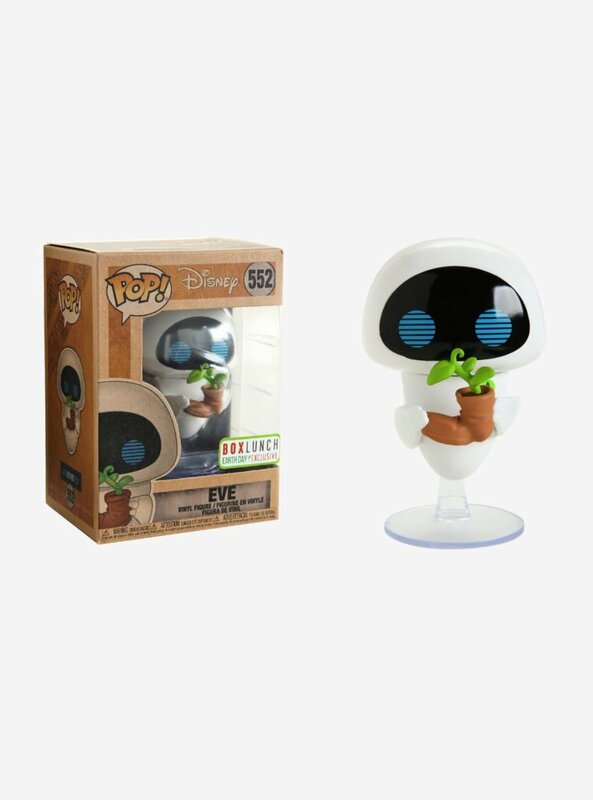 People waited four or five hours in line to get an Expo exclusive Jasmine doll, and there was mass confusion regarding the policies to get into the theme park presentation. It was chaos. So, I arrived at the 2017 Expo hoping for the best but expecting the worst. By the time the doors were opened on Friday morning, though, it was clear that positive changes were taking place. 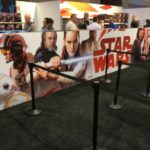 The elimination of the D23 Gold Member entrance (this was swapped out for preferred entry to some events) seemed to streamline the entry and lineup process. The use of colored wristbands indicating when a person got into line, established who should be let in when and helped to eliminate line shenanigans. In the Expo, the staff was actually starting to make use of the convention badges, marking them up to make sure that people did not get more than their allotment of passes or merchandise – an innovation that somehow eluded event planners at the previous expos. The Disney Store posted a “wait time” board, which, according to the conversations I had with people, seemed to be a “worst case scenario,” meaning most people’s wait was shorter than they expected. Additionally, the store took up a larger space and seemed to have cut down on the number of items they offered, keeping looky-loos moving and cutting down on the average time people spent shopping and checking out. They also seemed to have significantly more cash registers, which made check out painless. The most drastic change was on the show floor itself, which appeared much roomier than it had in the past. There seemed to be wider walkways, more space between booths, and more space dedicated to queuing areas. When it was announced that Friday had sold out, it occurred to me that this was very, very different from Saturday in 2015. Whether this was because space was being used more efficiently or because fewer tickets were sold, I don’t really know. I suspect it was a combination of both. On Friday morning, StorePass queued into a hallway. On Saturday morning, it was turned and given its own line area. They also instituted some new protocol to help the process be more efficient and make it more difficult for people to cut the line. Wristbands were being used at Scrooge McDuck’s money bin and other places when lines became too long for their designated areas. The process of entering the Anaheim Convention Center itself seemed to get more efficient each day, with different strategies being employed to shift lines, put people through security checks earlier and ultimately, get attendees through the doors into the expo as close to the 9:00 opening as possible — something they clearly did better this year. Did they get everything perfect this year? No, and I hope to cover more of that in a future article. 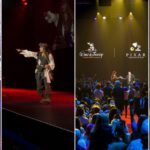 But what they did get profoundly right was an attitude of flexibility that allowed the D23 Expo to function much, much better than it had in 2015 and because of this, I am excited and confident that 2019 will be the best celebration of Disney Dorkdom to date. I hope to see you there. Joe Spremulli loves movies but loves talking about them more. He holds an M.A. in English literature from UMass Boston where he spent most of his time writing, talking and arguing about film. He visits Walt Disney World (at least) annually and would prefer an extra day in The Magic Kingdom to a single day in Animal Kingdom anytime. Joe worked for The Walt Disney Company for eleven years and often misses it, but he now has more time to spend with his wife and their two-year-old son, Milo who already can sing all songs from A Goofy Movie. He is proud to have been sworn in as a member of the Adventurers Club during the annual open house on New Year’s Eve in 1937, and while currently a teacher, Joe hopes to continue his adventurers by become a Jungle Cruise skipper when he retires.